Newts are small salamanders. They are usually very brightly colored. They are often confused with lizards, but do not have scales and have soft skin. A newt is a salamander in the subfamily Pleurodelinae, also called eft during its terrestrial juvenile phase. 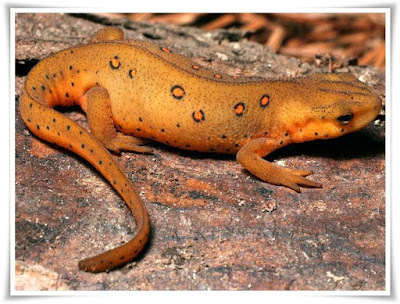 Newts are found in North America, Europe and Asia. Newts eat small fish, tadpoles, worm and beetles. Newts live in water when they are very young but as they get older, they usually spend part of their lives on land. The main predators of newt eggs and young newts are fish. Larger predators such as foxes, grass snakes and herons eat the adults newt. 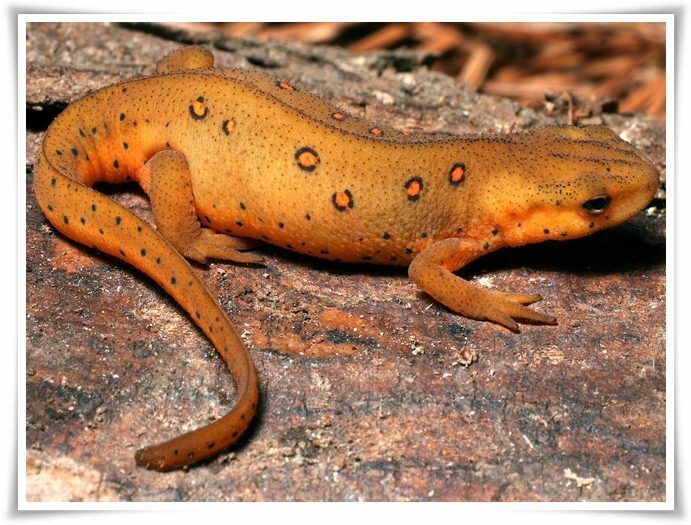 When newts are injured, they have the ability to grow new body parts such as limbs, eyes, spinal cords, hearts, intestines, and upper and lower jaws. When newts come out of water after breeding they can travel up to 1 km to look for food such as worms and beetles. They live in damp habitats on land. Newts can eat many poisonous insects without harm.